Olivar de Segura is a cooperative made up of 4,500 associated family farmers. Within this group, they have over 30,000 hectares of mountain olive groves and an average production of 20,000 tons of olive oil pressed in 12 different mills. One mill being specifically for organic production. Their only purpose is to offer the world the juice of the olive fruit of the most beautiful olive groves of their region. The production area spans through Sierra de Segura Natural Park, Sierras de Cazorla and Segura Las Villas Natural Park, located in the province of Jaen. Due to its ecological importance, this area was designated a Unesco biosphere reserve in 1983. This is the largest protected area in Spain. 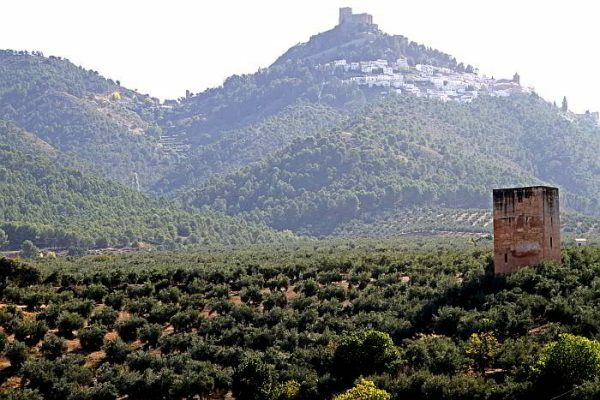 Sierra de Segura has one of the largest MOUNTAIN OLIVE GROVES in the world. These olive groves are simply and honestly the economic driver in this region of Spain. Olivar de Segura provides a vital contribution to the rual development joining these farmers together and having a strong market position. They have strong values of keeping a balance between the quality of products and the conservation of the local environment and natural heritage. This large coop has some of the strictest certifications of quality control in the industry. From the moment the olives arrive at the mill to the time it is bottled and shipped out to customers. There are inspection and controls at every step. Also, through the DOP regulatory council and the organic certification body (CAAE) do a range of analysis to ensure that the oils are all complying with the regulations applicable and to assure the tractability of the product. The coop has their own laboratory authorized by the Agricultural Ministry of the regional government in Andalusia. Here they carry out the physico-chemical testing and analysis. Within this area, the picual olives make up most of the groves in this area. These olive grow up the mountains some 900 meters above sea level. They are also surrounded by alpine pine trees. Growing in these high mountain conditions, creates a highly stable olive oil that means more antioxidants and a higher amount of polyphenols that most olives on the market. The picual olive trees grown up in the mountains comes off as a smoother and fruitier tasting olive oil than the picual growing in lower lands. The higher stability of the olive oil also makes it a great olive oil for cooking with. We are happy to be partners and the distributors in Canada for this wonderful company who has just celebrated 30 years of organic farming! Please let us know if there is anything else you would like to know about Olivar de Segura and where you can find their products in Canada.